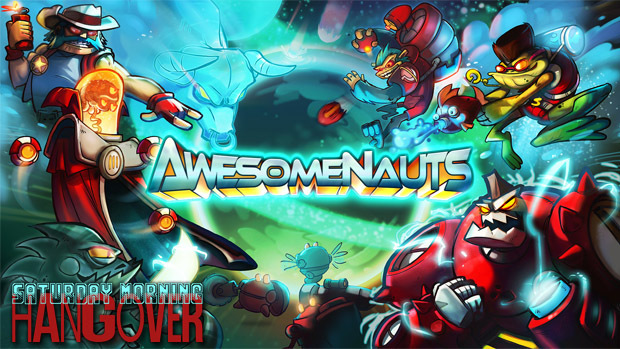 Jordan and I simply cannot get enough of Awesomenauts, the recently released 2D, side-scrolling MOBA from Ronimo Games. So, we've decided that we're going to devote another show to playing the game in the event there's anybody who hasn't heard us shouting about how great it is. First, of course, we'll have to make it through the week's Xbox Live Indie Games demos but even that seems merciful with only half a dozen releases to play. Of particular interest will be a shooter entitled Rocket Narwhal (where can you possibly go wrong with that concept?) and the onomatopoetic Beep Brrp Bing Bang Bosh, which describes itself as, "the ungodly rhythm game child of running platformers, Rock Band and gravity flipping." Delicious. The show kicks off at 10am Pacific over on Dtoid.tv! Come hang out with us in the chat, fire up the 360 and try to take us on in some Awesomenauts!